A week or so ago I was contacted by a company called Man Crates Gifts for Men who asked me if I would be interested in sharing a post about what I consider cookout essentials. Intrigued by the idea of a ‘man crate’ I headed on over to their website to see what they were all about. If you’ve ever not known what to get a man for a holiday or birthday and ended up with something like a tie or paper weight, this really is the solution for you. Basically, Man Crates was created to avoid terrible* gift choices like that. 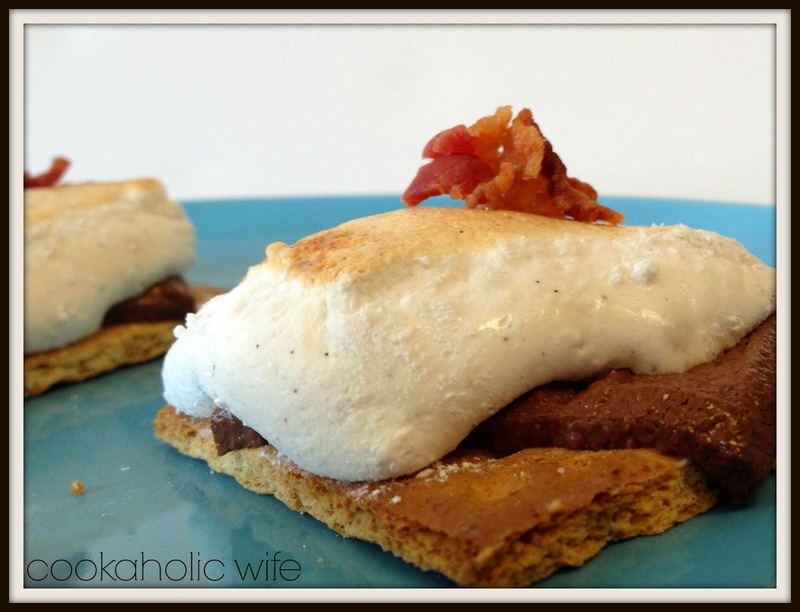 Who am I kidding, I would enjoy a Bacon Jerkygram. And a Sriracha crate, a Slaughterhouse Crate, or even the Hot and Spicy Crate. As you can see while it’s called a Man Crate, it doesn’t specifically need to be for men. And the four I mentioned are just a few options on their site. Golf lover? Covered. Zombie fanatic? Got that too. Coffee addict? Caffeine approved. Anyway now that I believe I’ve convinced you that you should order one (or two or five) of these, let’s get to the purpose of this post, which is for me to share with you what I consider cookout essentials. Maybe if I’m lucky they’ll even think my choices are so perfect and create the Cookaholic Wife Created Cookout Essentials Man Crate. Or maybe not, cause that’s a mouthful. No one likes doing dishes and paper plates just ain’t what they used to be. 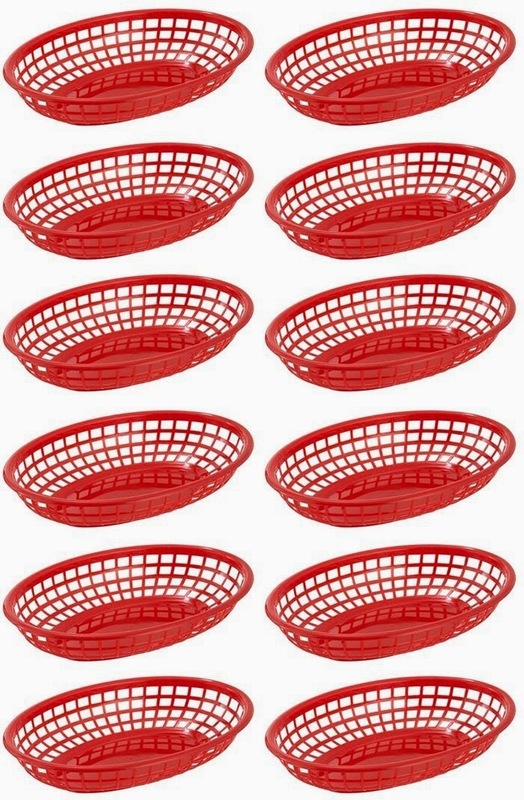 Buy these retro burger baskets in bulk and allow your guests to easily walk from the food table to their seats without having to juggle a real plate or a flimsy paper one. Checkered paper: appreciated, but totally optional. Now don’t go thinking I’m telling you to forego your precious beef and chicken and grill up some veggies instead, I’m just saying to include the veggies along with the beef and chicken. Zucchini, squash, bell peppers, onions, mushrooms, and cherry tomatoes all are incredible when grilled. But my favorite, now that’s grilled pineapple. Peaches, pears, cantelope and watermelon also make happy things happen in your mouth when you grill them. 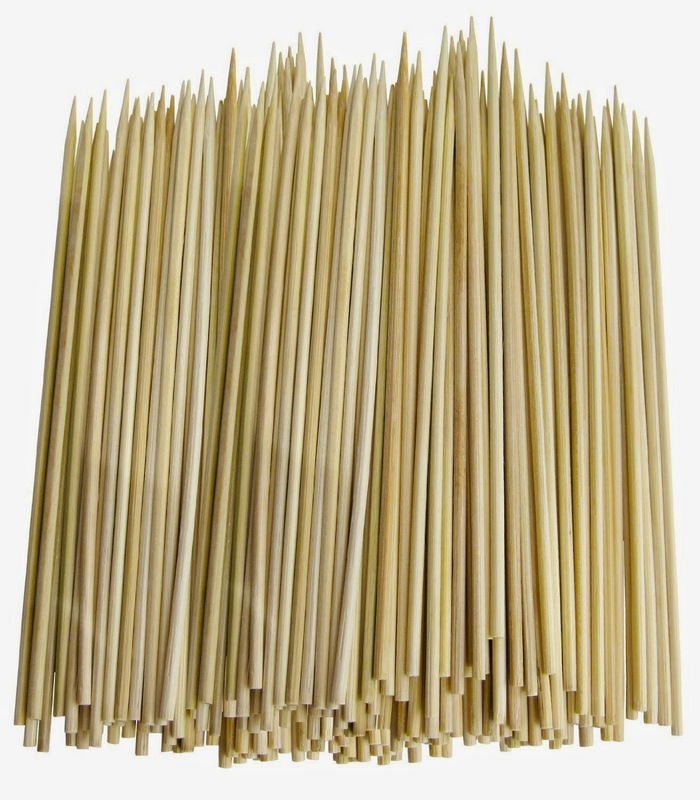 Now you can go for the simple bamboo skewer, as pictured above, or if you wanna have some fun with it, these adult naughty skewers are damn funny. 3. 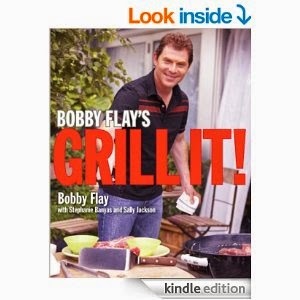 Bobby Flay’s Grill It! Let’s face it, the guy knows what he’s doing. I see no reason to turn to anyone else. ‘Nuff said. 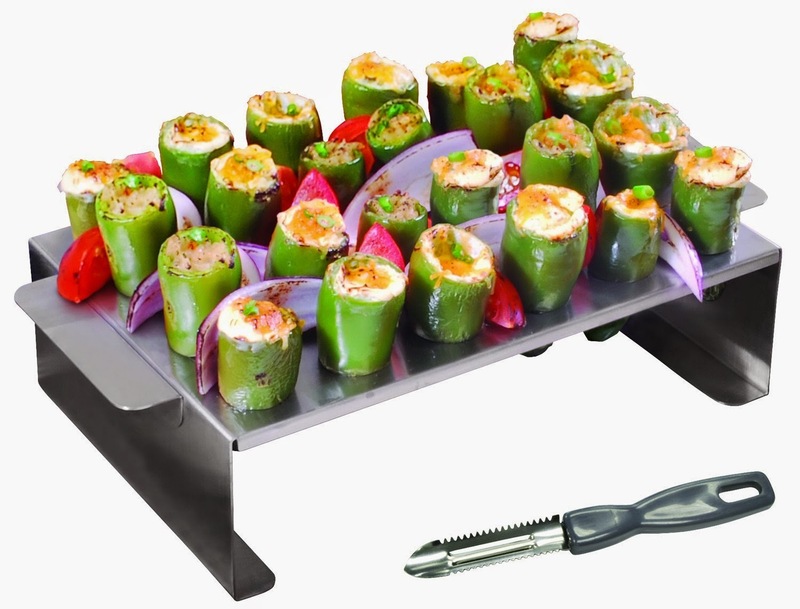 Look, jalapeno poppers are one of the best appetizers out there. Jalapeno, cheese, bacon. What more could you want? Well, other than the ability to grill them. So before the weather changes too quickly into fall, have another cookout and use the ingredients from one of these crates! Sources: Images for items 1-4 are on Amazon, and the items are directly linked there as well, except for item 2 which also includes a link to Etsy. 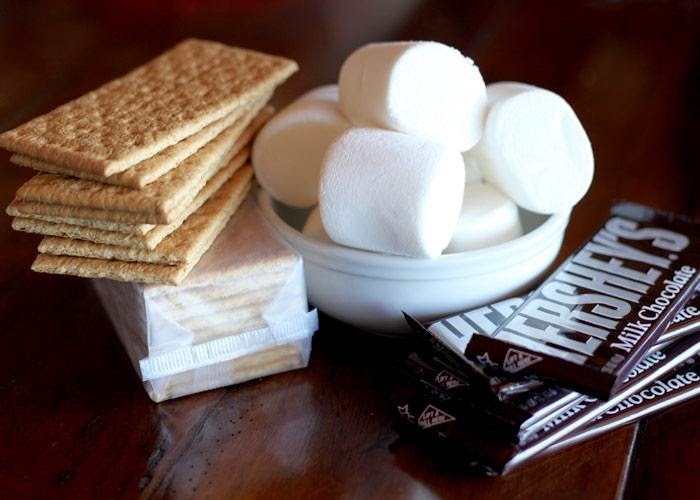 The first image for item 5 is my own, the smores ingredients image is from Bakerella.